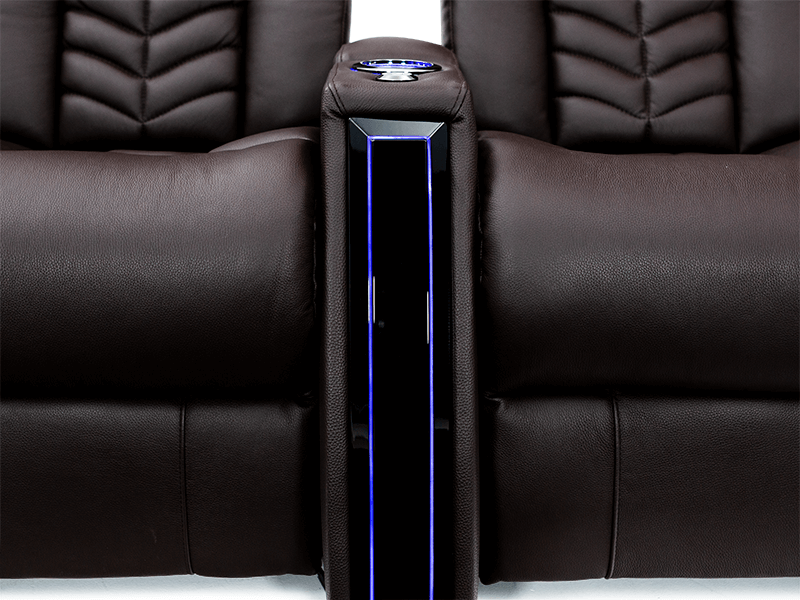 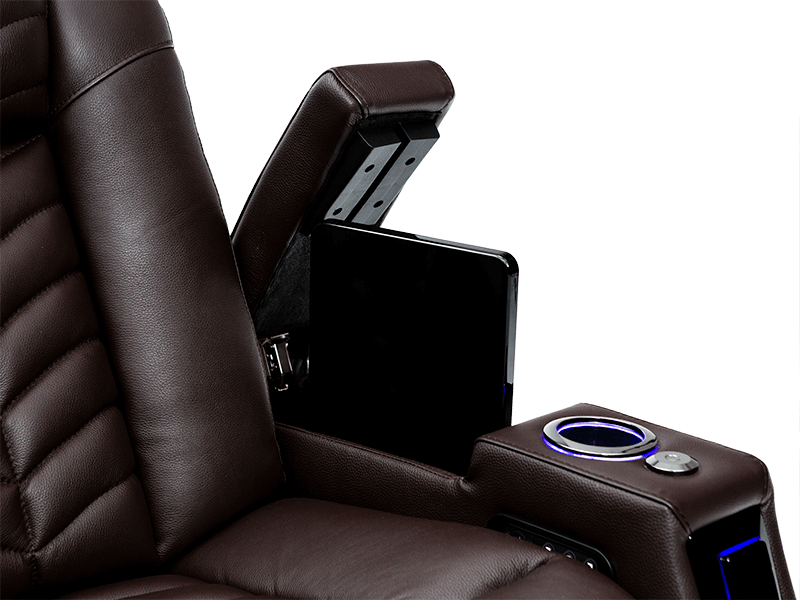 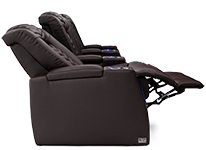 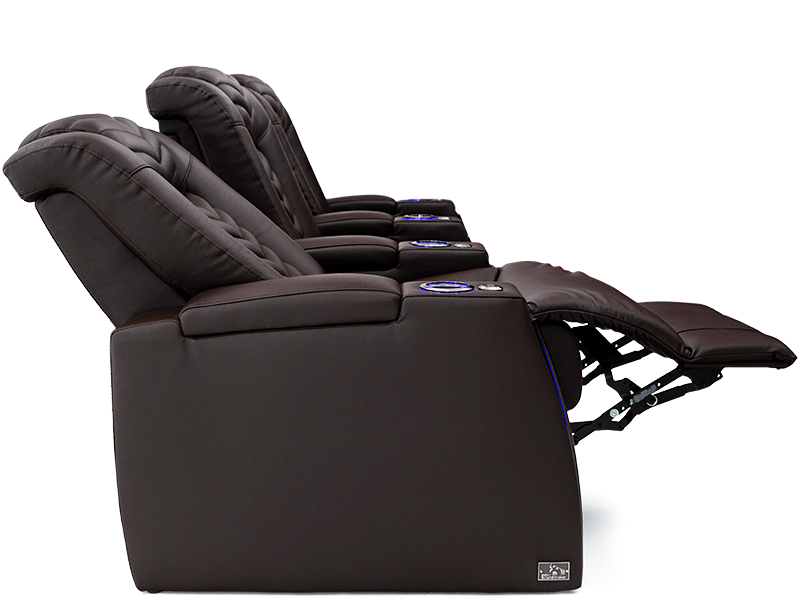 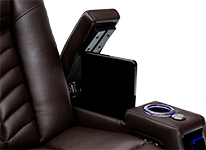 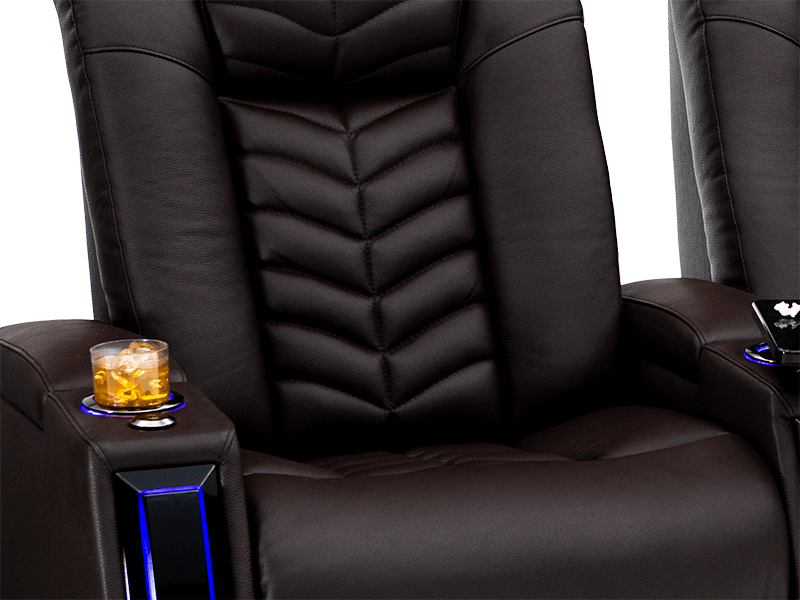 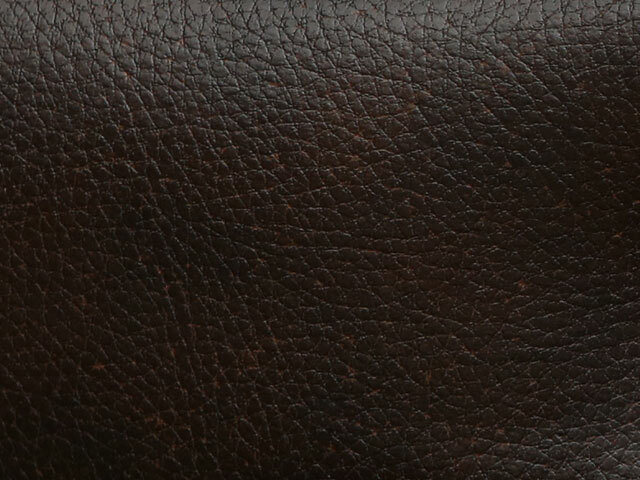 Pushing forward on the cutting edge of home theater chair design, the Seatcraft Veloce maintains the Seatcraft standard in unmatched quality. 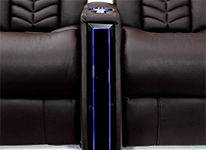 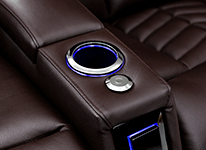 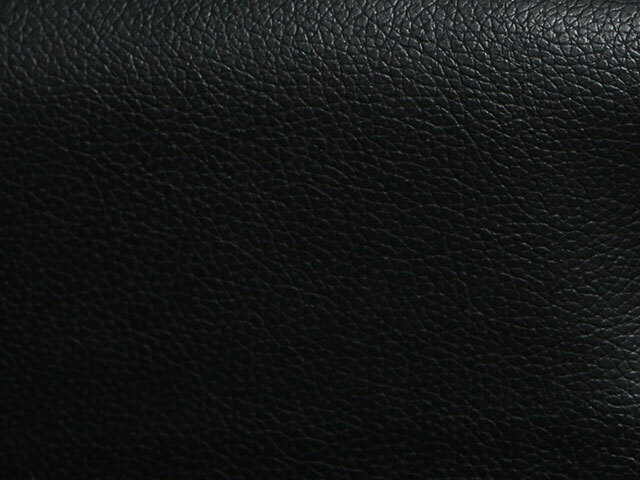 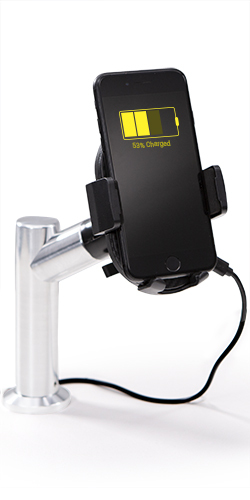 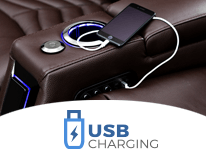 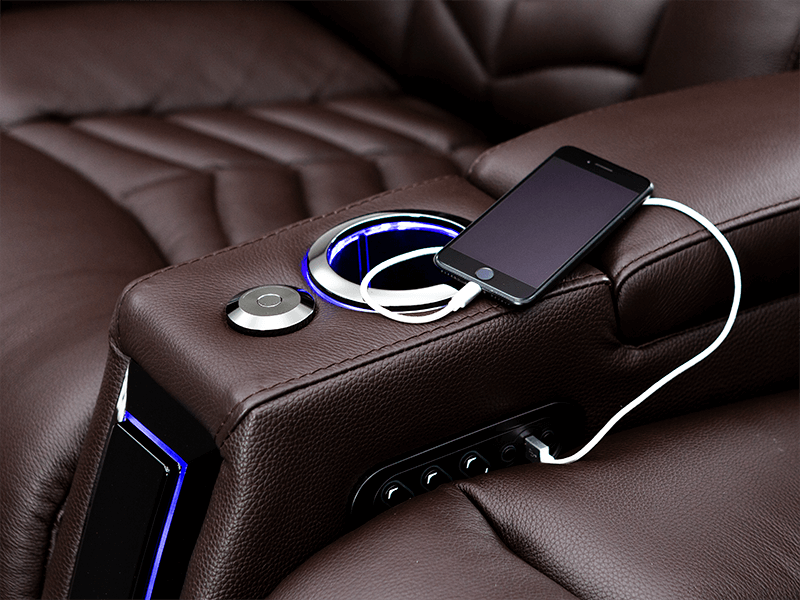 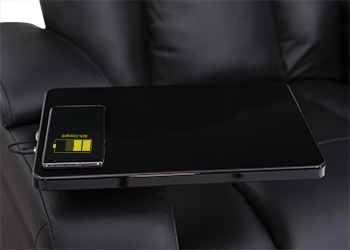 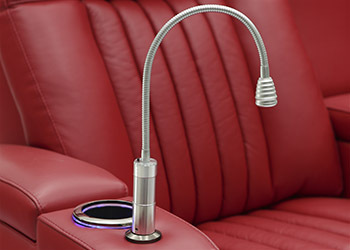 Magnificent LED lighting glows from beneath the etched armrests at the touch of a button, as well as the Veloce's powered headrest, lumbar, and recline all at your command, including the added functionality of the "Home" button, as well as the "Memory Save" button, which keeps track of your preferred headrest, lumbar, and recline position that you can return to at the tap of a finger. 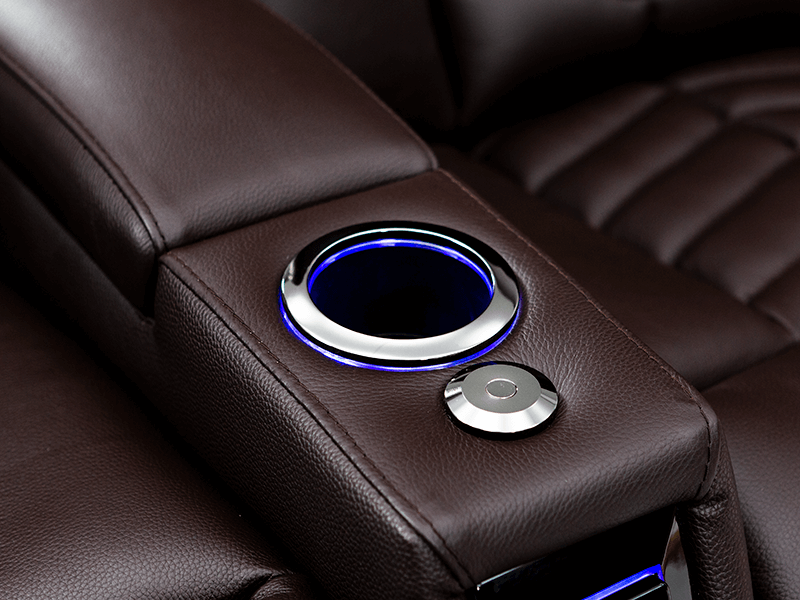 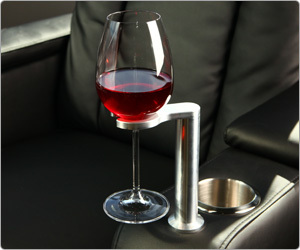 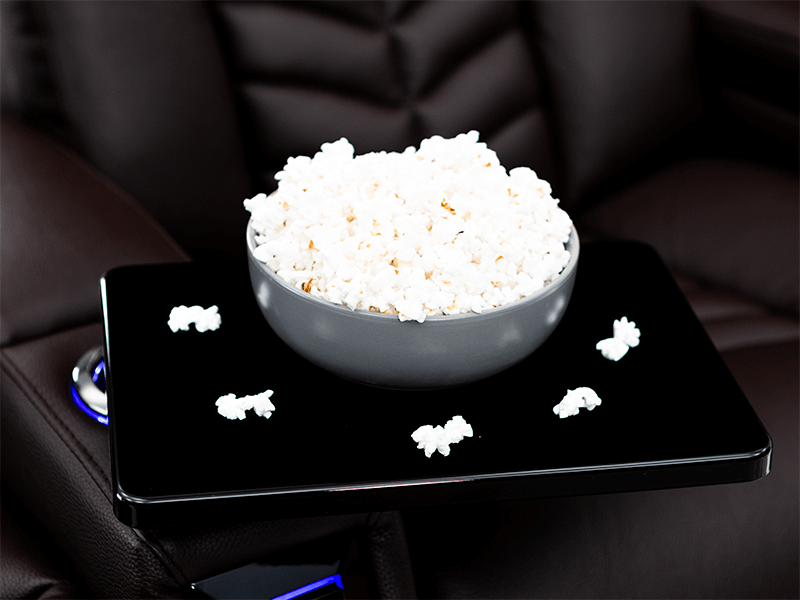 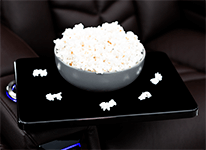 Keep refreshments in reach for enjoyment, illuminated by the blue LED cupholders at your disposal. 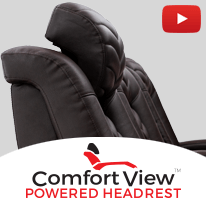 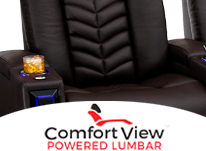 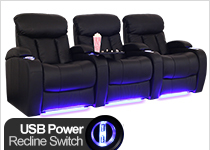 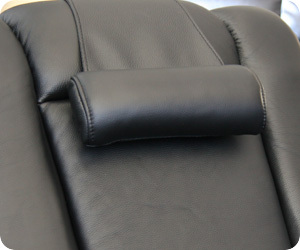 Fantastic customer service amazing products more affordable than lazy boy or living spaces everybody should buy their couches from this company.